Carme Pinós graduated at the Escuela Técnica Superior de Arquitectura de Barcelona in 1979. From 1982 on she formed a partnership with Enric Miralles, which ended in 1991. During this period the projects developed include the Igualada Cemetery Park, the Archery Range Buildings for the 1992 Olympic Games and the La Llauna School in Badalona. The work of Pinós-Miralles received awards on several occasions, counting the FAD prize for the La Llauna School and the Igualada Cemetery Park, as well as the City of Barcelona Prize for the Archery Range Buildings for the 1992 Olympic Games. In 1991 she set up her own studio and transferred the supervision and construction of several projects initiated in her previous office. Amongst them the Community Centre and Auditorium in Hostalets de Balanya, La Mina Community Centre and the Boarding School in Morella. Since then she has combined her activity as an architect with teaching, working as a guest professor, amongst others, at the University of Illinois at Urbana-Champaign (1994-1995), the Kunstakademie Dusseldorf (1996-1997), the Columbia University in New York (1999), the Ecole Polytechnique Fédérale of Lausanne (2001-2002), the ETSAB in Barcelona (2002), the Università Degli Studi di Sassari in Alghero (2002-2004), the Harvard University Graduate School of Design (2003), the Accademia di Archittetura di Mendrisio in Switzerland (2005-2006) and at the Universitá di Roma Tre (2007-2008). Projects having a great impact on her career are the Pedestrian Bridge in Petrer (Alicante), the Juan Aparicio Waterfront in Torrevieja (Alicante), the La Serra High School in Mollerussa, the Ses Estacions Park and the Espanya Square in Palma de Mallorca, the Cube Tower in Guadalajara (Mexico), and the Primary School in Castelldefels (Barcelona). She is currently working on, amongst others, the Novoli housing complex in Florence, the Catalan Government Headquarters in Tortosa, a high school in Sant Carles de la Ràpita, an office building in Igualada and the design of the Gardunya Square in Barcelona, as well as a housing building and the Massana Fine Arts School adjacent to the square. Her work has been exhibited at several galleries, museums and universities, including the Kunstakademie in Stuttgart (1995), the Architektur-Hochschule in Aachen (1995), the University of Illinois at Urbana-Champaign (1994), the AAM Gallery in Rome (1996), the Urania Gallery in Barcelona (1996), the Eight Plan Gallery in New York, the Contemporary Art Museum of Puerto Rico (1997), the COAM Foundation of Madrid (1997) and the Colleges of Architects of Ibiza (1996), Valencia and Galicia (1997)and the Spanish Pavilion in the Venice Architecture Biennale (2006). Since 2006 the model of the Cube Tower is part of the permanent collection of the MOMA. Several national and international magazines and books have published her work, amongst others monographs by Actar editorial (1998), as well as Monacelli Press (2004) and the monographic magazine Documentos de Arquitectura dedicated an issue on the Cube Tower in 2006. 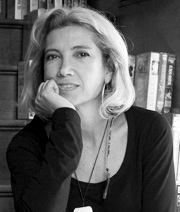 Carme Pinós has received various prizes and mentions for her work, including the National Prize of Architecture of the Consejo Superior de los Arquitectos de España in 1995 for the Boarding School in Morella; the Colegio de Arquitectos de la Comunidad Valenciana Prize in 2001 for the Juan Aparicio Waterfront in Torrevieja; the Colegio de Arquitectos de Cataluña Arqcatmón Prize in 2005 for the Cube Tower in Guadalajara as well as the 1st Prize of the Biennial of Spanish Architecture in 2007 for the same building. Received the National Architecture and Public Space Award from the Department of Culture of the Generalitat (Autonomous Government) of Catalonia in 2008 for her career history.